A home to millions of coral plants and animals, coral reefs are among the most biologically diverse regions on Mother Earth. Coral reefs have been around for the last 25 million years, and are now almost endangered. They are an ecosystem that has evolved over a period of millions of years. Coral reefs provide a habitat for numerous sea creatures. There is another world that exists apart from our lives. I am talking about a life beneath the deep blue seas, a life that holds mysteries and new discoveries for mankind. Also a life that humans tend to infiltrate, sometimes for the wrong reasons. They have been around for many years and have been continuously evolving, thus providing a habitat to a plethora of sea organisms - flora and fauna. Let us take a look at how coral reefs are among the most diverse and productive communities around. Often a mystery, coral reefs were called an animal, a plant animal, or a plant. 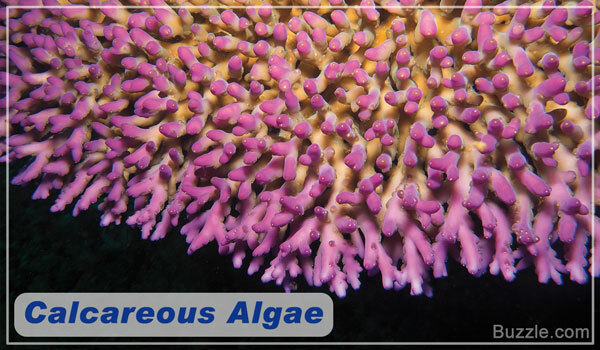 Corals are actually a result of a combination of plant and animal life. It contains microscopic structures of plants known as algae. 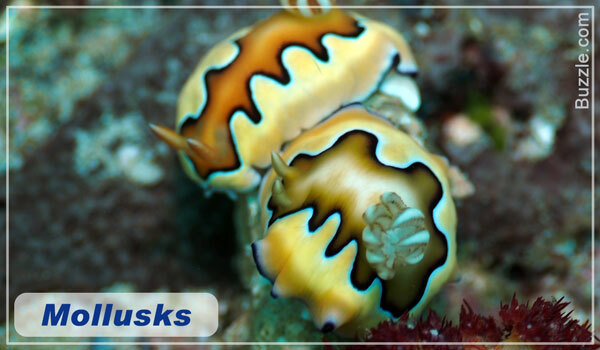 These live within the corals. Algae that live within the corals are called zooxanthellae. The tiny animals called polyps, which are connected by a living tissue actually constitute the corals. The polyps only exist in the uppermost area of the coral reef. 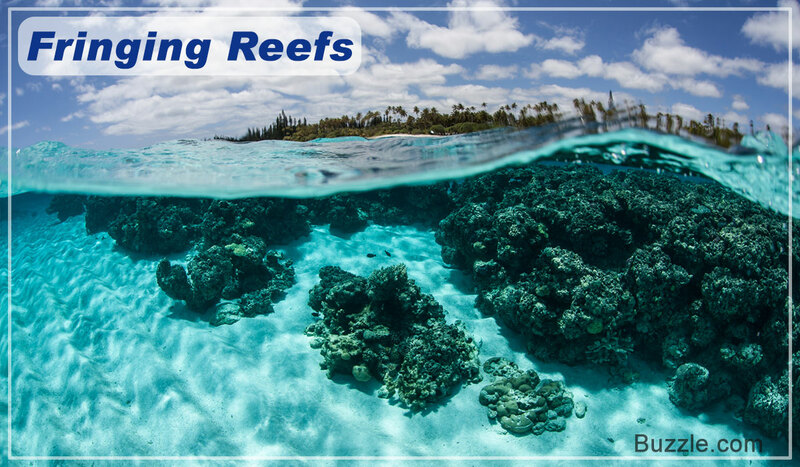 A reef is a structure found in the shallow parts of the ocean. (This serves as a home to animals and plants). Sunken ships are also known to have turned into artificial reefs. As one sees new layers of the reef being built, these polyps with their algae soon depart, and every time we can see a new layer of the reef structure. 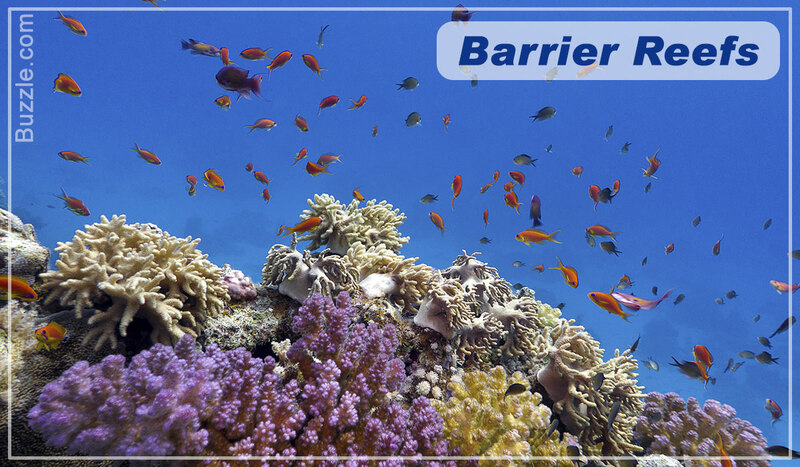 The Great Barrier Reef, located off the coast of Queensland in Australia, is the world's largest coral reef system. Barrier reefs grow parallel to the shoreline. They are separated by water from the mainland. Fringing reefs are permanent with the landmass. They are distinguished from barrier reefs as they have no deep portions at all. Atolls are islands made of coral surrounding a central lagoon. 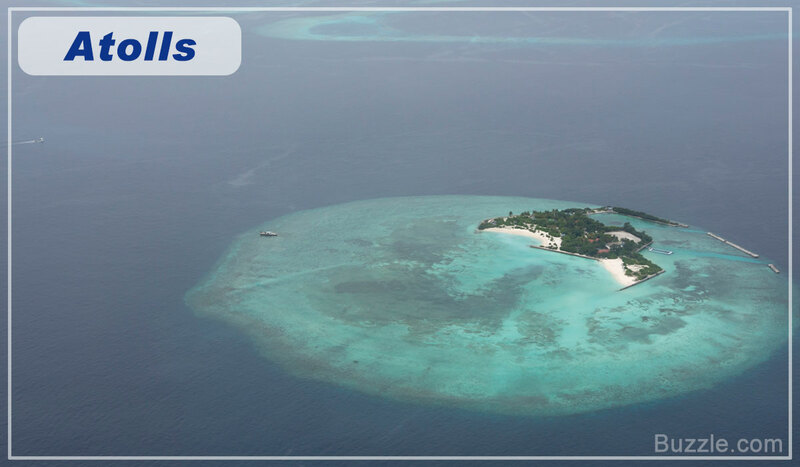 The Pacific and Indian oceans have the maximum atolls. The main types of plants that are found in the coral reef environment are basically algae and seagrasses. These are one of the most important elements in the entire reef ecosystem. The algae can range in various sizes. They can be simple plants such as the zooxanthellae, or the common known seaweeds. Seaweeds are multi-cellular branching forms. These provide food to the corals through photosynthesis. These spread out in thin layers over the surface of the ocean bed. They are made of masses of very fine thread-like filaments, and these filaments produce calcium carbonate, which in turn gives these algae a rock-like appearance. These are very important to stabilize the coral reef structure. These produce calcium carbonate (limestone), and are known to grow erect. The limestone in turn produces the sand that is found on the beaches when these degenerate. The seagrass beds are flowering plants. These provide shelter to sea creatures such as the conch or lobsters. Tiny organisms are also known to live in their leaves. The rhizomes or the stems of the seagrass (with roots attached) anchor the plant, and also keep the seawater clean as they trap large amounts of sediments in them. They play a very important role in preventing beach erosion. Coral reefs house at least 25% of life in the ocean. Animals use these as a shelter, and they also are a prime source of food for them. 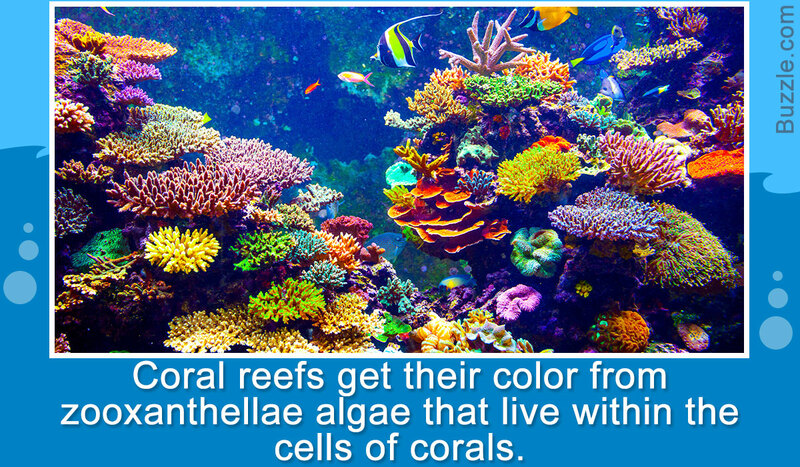 Corals are themselves seen in a variety of colors like blue or brown. This is because of the presence of zooxanthellae within their tissues. 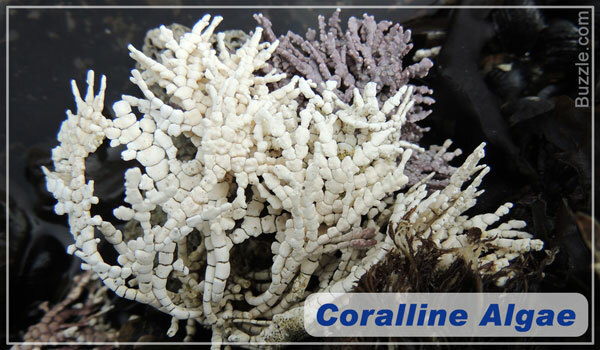 This leads to the natural pigmentation, which in turn gives the typical color to the corals. Comprising 15 - 18% of the marine biology, oysters, clams and cephalopods like the octopus and squids belong to this category. 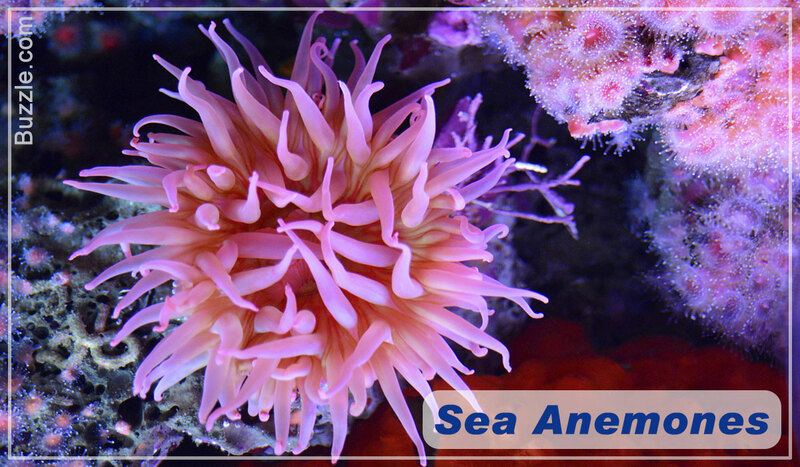 Sea anemones are predatory animals that are most commonly found with the clownfish. Clownfish protect the sea anemones from other predators. Crabs, copepods, lobsters, shrimp, barnacles, etc., belong to this category. 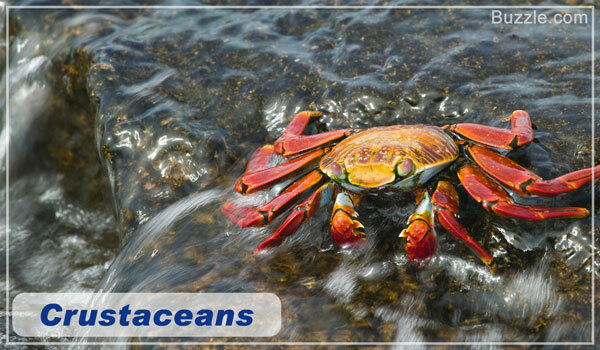 As is suggested by the name, crustaceans have a crust on their body. Today, we can see massive deterioration of the coral reefs all around, though the causes are still uncertain. Experts have proven that coral reefs are beneficial and they are also an important part of the ecosystem. Coral reefs are also used as a part of various medicines for treatment of specific ailments. But with the constant destruction of these reefs, scientists have now warned that the next few decades may see us losing these beautiful structures. Irresponsible human activities that lead to pollution, erosion, and cause global warming, are the main reasons behind their disappearance, which will eventually be a loss to mankind.